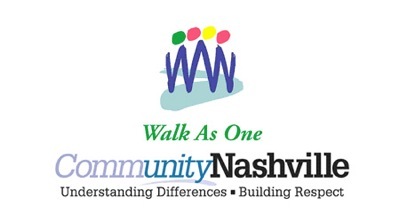 "To fight bias, bigotry and racism and promote respect and understanding among all people"
Join CommunityNashville on Saturday, October 4, 2008 in beautiful Centennial Park for the Sixth Annual Walk As One event. Over 1200 walkers are expected to come together for a spectacular day of unity and community! Entertainment and warm-up celebrities will welcome you, breakfast snacks and beverages will energize you and friends, and visits with neighbors and friends will inspire you. Let's "Walk As One" to fight bias, bigotry and racism and promote respect and understanding among all people.